Here at PT Link Physical Therapy, we aim to provide Toledo, OH physical therapy services that are unique and specialized. Whether you need relief from back pain, neck pain, sciatica, headaches, TMJ, wrist pain, or even tennis elbow, PT Link can deliver a holistic solution designed for your needs. When you first visit our West Toledo physical therapy clinic in Franklin Park, you will work alongside some of the best physical therapists in Ohio. By taking a free assessment, our physical therapist team will be able to hone in on your symptoms and create a plan for your recovery. You will soon realize why we are highly recommended and have a 5-star rating, we are committed to finding a solution that works. If you are an athlete, seeking workers comp from an work injury, in need of a chiropractor, or even need acupuncture, we offer a wide range of services to help you feel 100%. Everyone at the Franklin Park clinic strives to give patients an individualized, inclusive, and excellent alternative to typical assembly-line Physical Therapy. We find it important to be involved in the communities we service, have outstanding, caring staff, and assist people in their journey to live their lives pain free. The physical therapists you will meet are expertly trained in the most effective methods and our goal is to improve strength, endurance, functionality, and decrease pain. 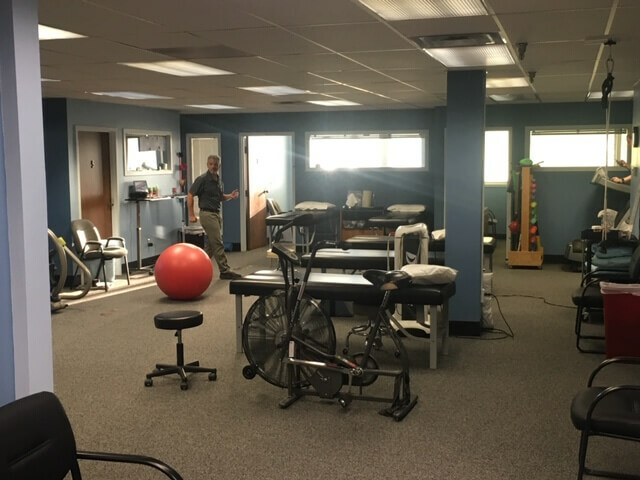 Our unique solution for physical therapy is the Multi-System Approach, using a multitude of techniques to successfully treat the interrelated systems of the body. Through our Multi-System Approach, our patients see much higher success in decreasing their pain with longer lasting results. No matter what age you might be, we can absolutely help you. Our very loyal patients that have told us that the service received at PT Link Physical Therapy is one of a kind and that they feel like family. One of the reasons for our success is the large number of loyal clients that return to us if they have a new injury, condition, or surgery. We also are so thankful for the huge of number of friends and family referrals we receive from our past patients. We also have an excellent program for helping athletes recover and improve performance. Ranging from Golf, Tennis, Cross Country, Basketball, Football, and Soccer, if you are looking to get back into the sport you love, PT Link Physical Therapy can make it happen. Our Franklin Park location, located on the corner of Talmadge Rd and Sylvania Avenue, is conveniently located by the Franklin Park Mall. You can find us behind the Chick-fil-A, next to Zoup, inside the old PNC bank building.